Powered by a 250 bhp engine. The DC Avanti is being showcased at the 2015 Autocar Performance Show in two colors. 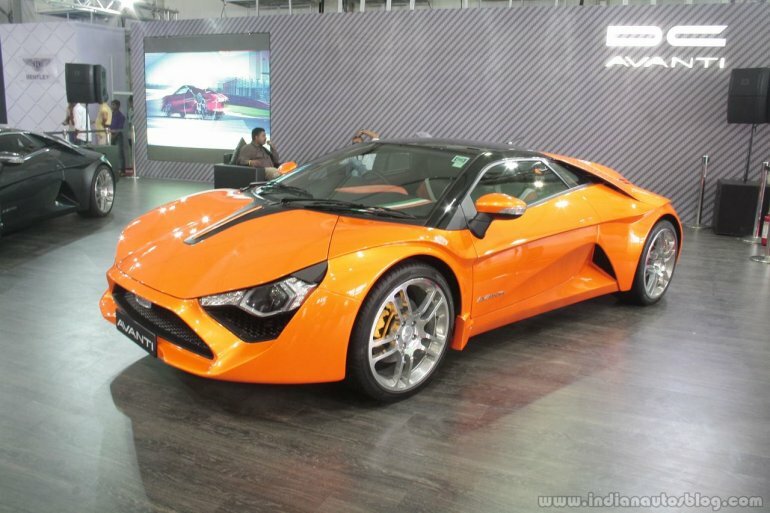 The DC Avanti is a 4,550 mm long, 1,965 mm wide and 1,200 mm tall seemingly low-slung car that has 2,700 mm of wheelbase and 170 mm of ground clearance. It uses a double-wishbone suspension setup at the front and the rear, and runs on 20-inch alloy wheels that are shod with 255/35 tyres ufront and 295/30 tyres at the rear. The car is made of a tubular space-frame chassis with a roll cage, with a carbon composite body shell. Its kerb weight is 1,580 kg. 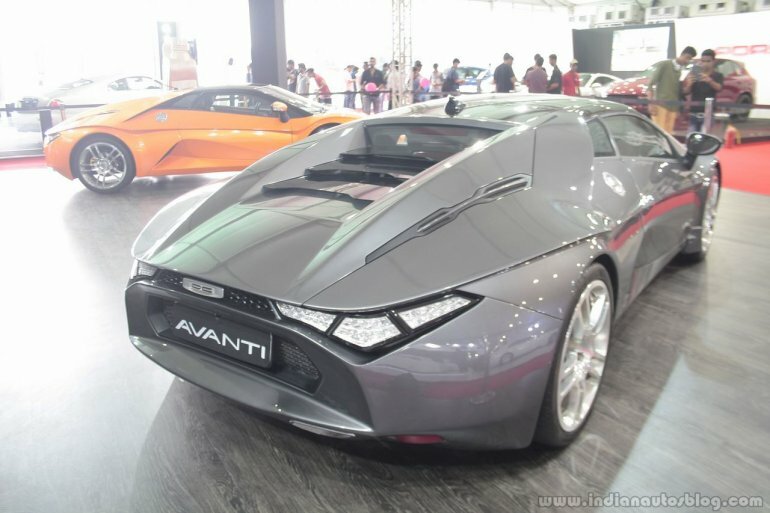 The Avanti is driven by a Renault-sourced 2.0-liter four-cylinder turbocharged petrol engine that is mounted mid-ship. It produces 250 bhp of maximum power at 5,500 rpm and 340 Nm of peak torque at 2,750 to 5,000 rpm, and is mated to a 6-speed manual transmission that drives the rear wheels. The top speed is electronically limited to 200 km/h. The Avanti is equipped with front and rear disc brakes, ABS and Bi-Xenon headlights, but doesn't feature airbags. It can be accessorised from a long list of options offered by the company, with cosmetic and functional kits ranging from INR 18,000 INR 3 lakhs.